The debates around whether AI is good or bad for business have, to some extent, become largely redundant in an age where artificial intelligence is interwoven with our every day, from online banking to online shopping. Deloitte says that 42% of executives believe AI will be of ‘critical importance’ within 2 years, according to reports. Yet some, even those in the more progressive marketing industry, are still hesitant to harness its power and include AI in marketing strategies. For still more, however, the introduction of AI into modern life is a time-saving luxury that modern marketers are keen to embrace and build a strategy around. Here we look at six ways of getting AI into your marketing strategy, ready to propel your business forward. The bread and butter of all marketing is audience segmentation, knowing who to target your message at and where that message is best placed. It’s common for marketers to create a human avatar for their target group, give it an identity, research where their character eats, where he works and what he does to relax. While this thorough analysis is crucial, AI can make this whole process even more of a deep search, implementing algorithms, carrying out 100s of searches with different sets of parameters and analyzing behavior. A ghastly 71% of all app users churn within the first 90 days, the main reason being lack of fresh, engaging & relevant content. With AI you can discover what you need to change or fix in your app and what other functions you could add to improve your retention rates. CEO, Fjuri (former CMO of Microsoft Windows). If you’ve ever wondered how some websites are so accurate in their suggestions for music, books or clothes it’s because they’re maximizing AI. It’s time for you to get hold of that technology and incorporate it into your app’s advertising strategy. AI allows you to create customized advertisements, you can monetize even the non-spending users by serving them their choice-based advertisements. Facebook Audience Research says that gamers are 18% more likely to make in app purchases when rewarded video ads are used. The sheer speed at which AI can incorporate volumes of data, means all the guesswork is taken out of predicting audience trends and habits. The time saving alone means you’ll be able to dedicate more of your day to creating updates for your selected audiences and less time figuring out who these audiences are and what they’re likely to respond to. “AI will without a doubt be the technology that has the most impact on marketing going forward as it allows marketers new capabilities to interact with a huge number of people on a personal level that could never have been done before. I would even go so far as to say that AI is also necessary to the survival and effectiveness of marketing as today’s consumers are much more tech savvy and blind to many traditional marketing techniques due to the constant bombardment they have dealt with for so long. Marketing can no longer be a one-way message to customers, but a conversation that allows for engagement and interaction”, – says Mahi deSilva, CEO at Botworx.ai. Use AI too, in optimizing your search engine identity. Harness the knowledge of what makes you jump out in Google, analyzing data and algorithms from this clever technology. So much of marketing revolves around analysis and prediction. With these two functions come reams and reams of data, ready to be interpreted, segmented and used to form ongoing marketing strategies. With AI technology you’ll be able to identify the most important areas of data for your particular project and make sense of the raw figures so much more quickly. This function saves time and ultimately money and must feature in any modern marketing team. 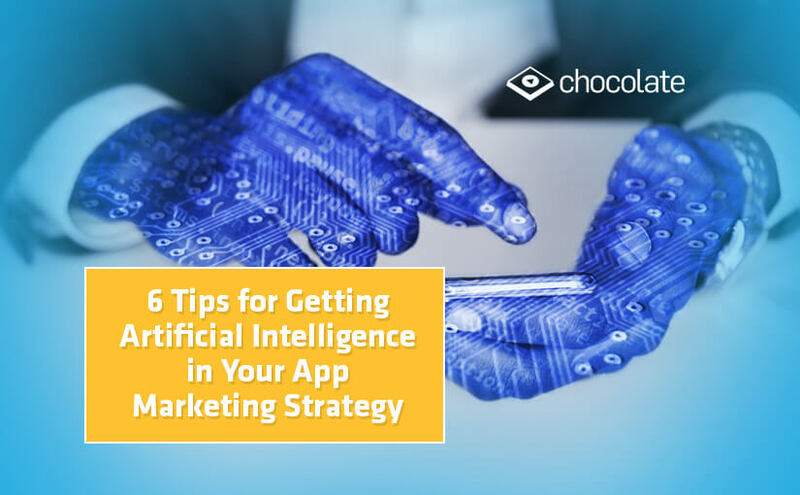 AI helps app marketeers decipher & comprehend the behavior of app users and maximize revenue from hot leads. It suggests the best time to send push notification and in-app messages which are highly targeted & speaks to users about products & services they care about. It minimizes chances of app install & increases the time a user spends in app. If you work for an agency, or even in-house, you’ll be acutely aware of what the competition is offering. With a functional AI system in place you’ll be offering much more value for money than the non-AI savvy competition. Saying that, it’s important that your sales pitch also includes a decent strategy for using the software, otherwise the pitch is next to worthless. Incorporated into your corporate strategy it becomes a powerful selling tool. The Boston Consulting Group found that 85% of the executives believe AI will leverage their companies against the competition. 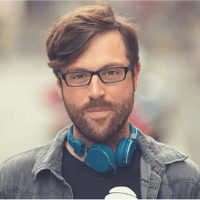 AI assists app developer to add a competitive edge to the app, capture more customers & also personalize communication, helping stand out in an otherwise cluttered app market. Despite all the hype around AI and how it can help build your marketing strategy part of that same strategy must include a human element. AI is a game changer for marketers and if used correctly will save time and money but what it must never do is replace human contact. It’s entirely possible to build both into your marketing strategy and this should be your aim. By offering to activate certain features of the app through the user’s voice you can add a human element to your app. Domino’s integrated Amazon’s Alexa into their mobile app which gives customers the convenience of ordering pizza while performing other chores. This hands-free experience makes placing an order an easy & memorable experience for the customer. All this is possible with AI-powered voice technology. It’s an exciting time to be in marketing with technological advancements happening around us at breakneck speed. Harnessed properly, AI will change life for the better. Mobile apps being an integral part of our life’s now are at the center of this technological revolution. Consumers demand for on-the-go content making it imperative for app developers to discover & distribute something new & exciting which has been made possible by Artificial Intelligence.